Summary: Great Basin Incident Management Team 2 (GBT2), Tony DeMasters, Incident Commander, assumed control at 0600 this morning. Today’s firefighting efforts focused on maximizing limited resources to set-up for future success. Crews are using roads, natural features, and changing fuel types to help establish anchor points as well as constructing indirect fire lines. The Silver Creek Road on the western flank is being improved, using feller-bunchers to cut and remove timber and other heavy fuel. Existing fire scars are also being utilized as potential areas to anchor firelines and provide opportunities for greater success to engage the fire. This change of vegetation can be advantageous to suppression efforts, moderating fire behavior and allowing for more favorable conditions. Firefighter and public safety remain the top priority of this incident. 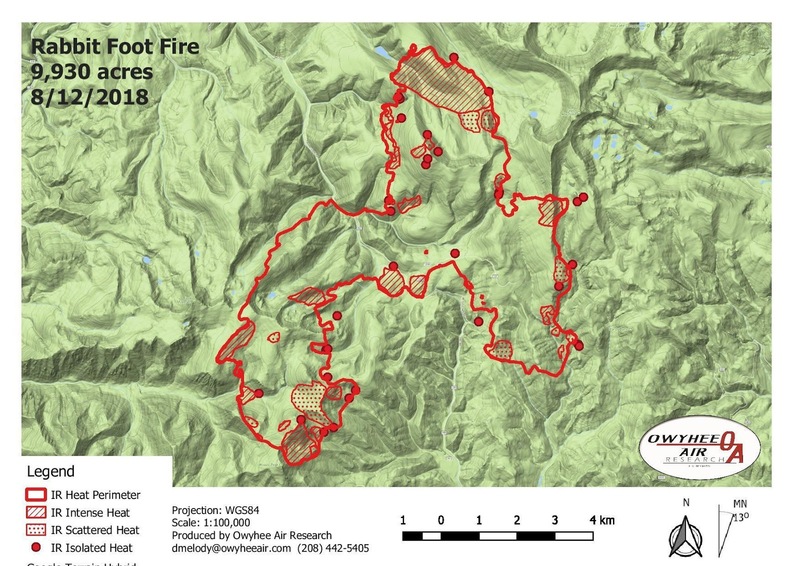 The public may see engines taking structure assessments far away from the fireline as a contingency measure for future planning, however, these communities are not currently threatened. The fire continued to burn aggressively today in a northeast direction, and large columns of smoke were visible late afternoon and into the evening. While at the time of this report, the reported acreage remains the same as this morning’s update, but a substantial increase is expected tomorrow after the expected Infrared mapping flight tonight. Weather: High temperatures into the mid-80s, low relative humidity 12-15%, and SW winds 8-15 mph with gusts to 25 will continue to produce active fire behavior throughout the area. Closures: Stage One Fire Restrictions are in effect on the Salmon-Challis National Forest and Bureau of Land Management, as well as the State. Fire related road/area/trail/campground closure orders remain in effect. For more information go to Inciweb or the Salmon-Challis Facebook page. (https://www.facebook.com/salmonchallisnf/). 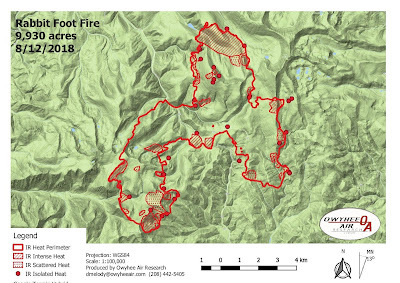 Closures may expand due to new fire growth.